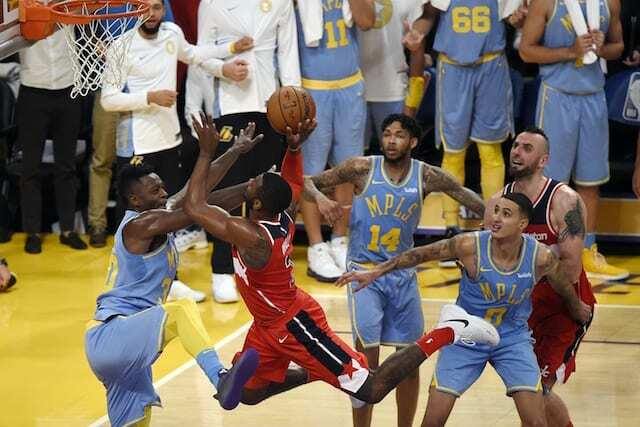 The Los Angeles Lakers picked up their second win of the season Wednesday night, and at the same time handed the Washington Wizards their first loss as they erased a double-digit fourth-quarter deficit to force the game into overtime, and then came away with the 102-99 victory at Staples Center. The game was a little more personal than most for the Lakers, as Marcin Gortat and John Wall took shots at Lakers rookie point guard Lonzo Ball before the game, but it was ultimately Ball that got the last laugh. 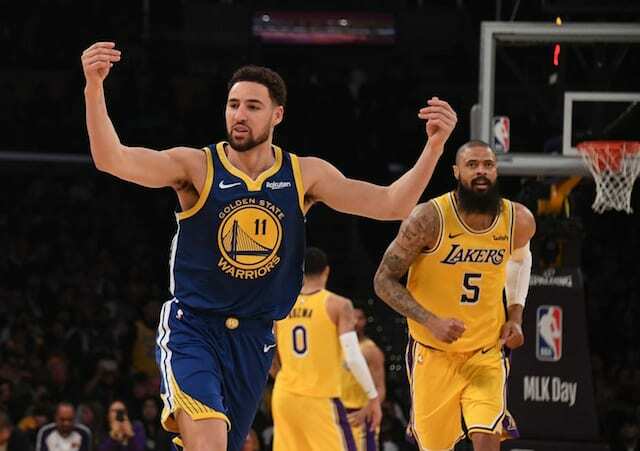 With the Lakers trailing for most of the game, the unit that sparked the comeback and closed out the game was Ball, Kentavious Caldwell-Pope, Brandon Ingram, Kyle Kuzma and Julius Randle, five players all under the age of 25. 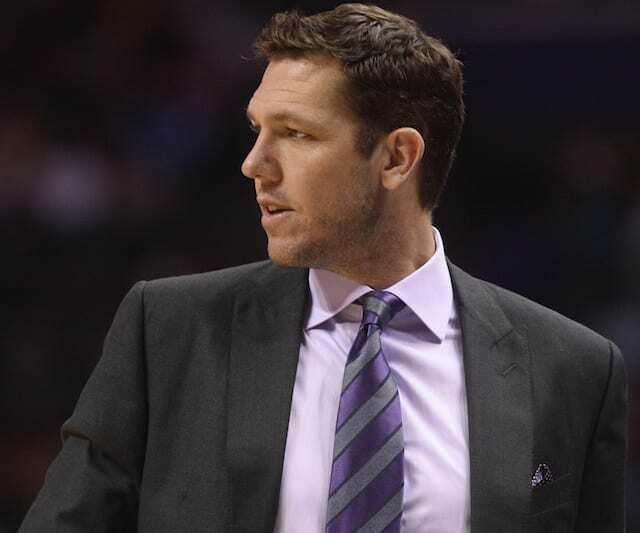 After the game, Ingram praised his head coach, Luke Walton, for trusting the young core in crunch time, and Ingram rewards him by coming up clutch with 15 of his 19 points coming in the second half, including the tip-in layup with 0.7 seconds remaining in the fourth quarter that sent the game to overtime. 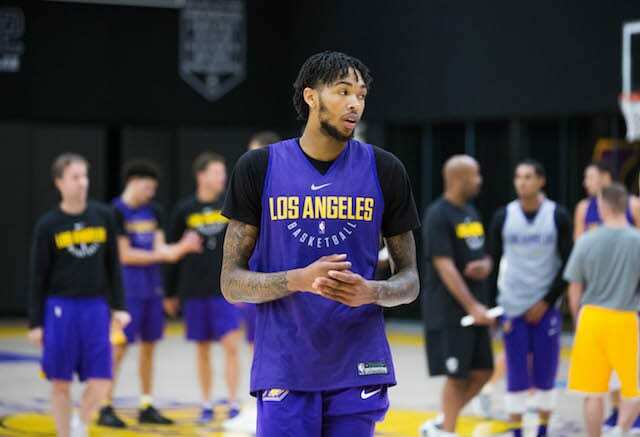 According to Walton, Ingram has the desire and mentality to be the team’s closer, and on Wednesday night he delivered with clutch shot after clutch shot down the stretch. Ball struggled with his shot, scoring just six points on 2-of-11 shooting, but his impact on the game goes way beyond that as he contributed eight rebounds, 10 assists, a steal, a block and just one turnover against one of the best point guards in the league in Wall. Randle, who is coming off the bench for the first time in his career, played just six minutes before playing the final 13 minutes to close out the game. He had 11 points and nine rebounds in the game, and also made big contributions on the defensive end of the floor as he had a big block on Wall in addition to a few other big plays. 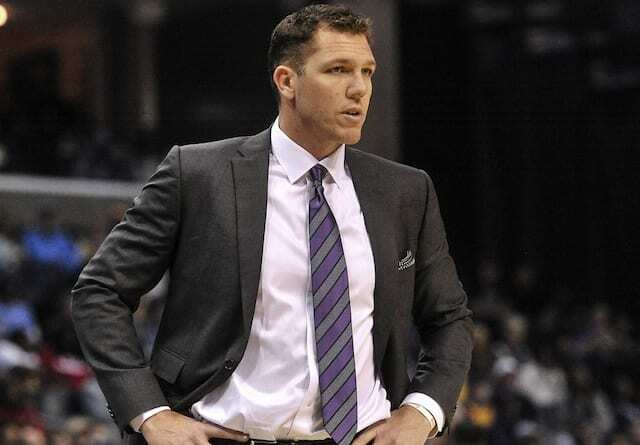 The Lakers next take the court on Friday when they host another projected Eastern Conference playoff team in the Toronto Raptors.